How much do Bucks suites cost? 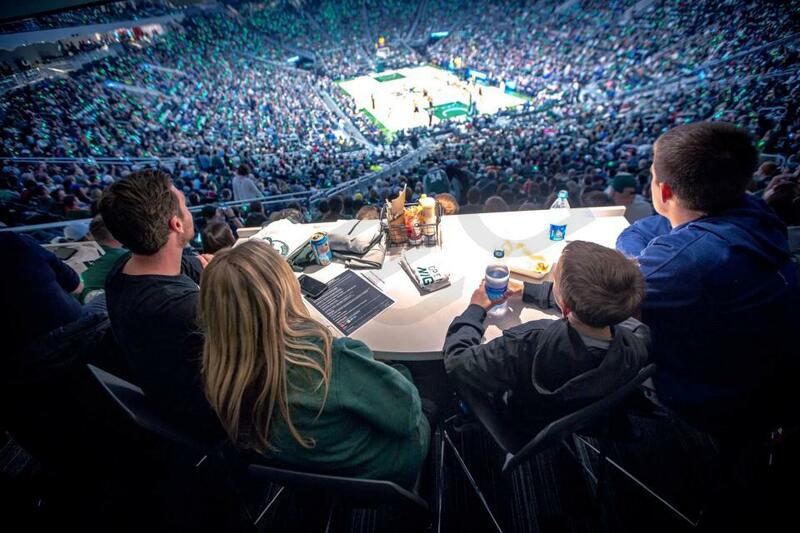 Milwaukee Bucks suite prices typically range from $3,500 - $7,000 per game. Prices will vary based on the opponent, day of the week, and suite type/location. Suite pricing for concerts at Fiserv Forum will vary widely depending on performer. West Bend Lofts are a semi-private space available for groups of 4-6. Lofts come all-inclusive of food and beverage that is served in a shared lounge area. Each Loft has a designated dining table in the lounge in addition to a small, private seating space facing the floor. Lofts provide a perfect direct stage view for concerts. 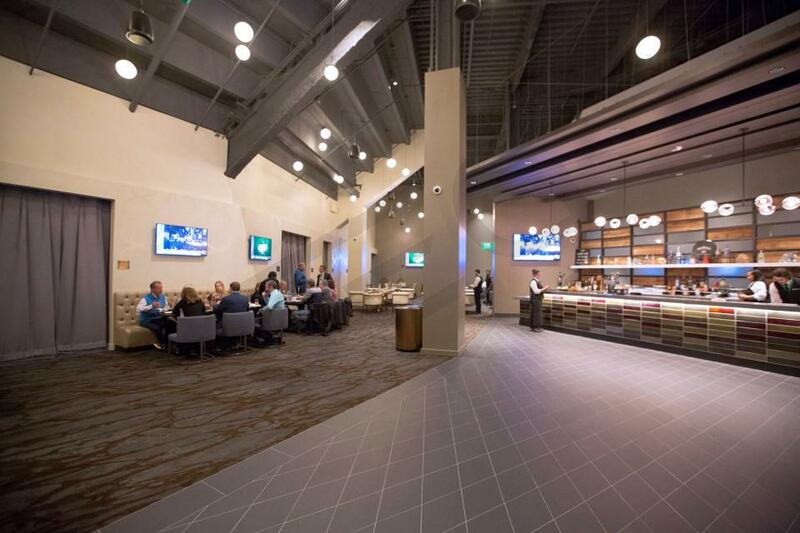 Northwestern Mutual Club Lounges are located on the southeast corner of the 200-level. 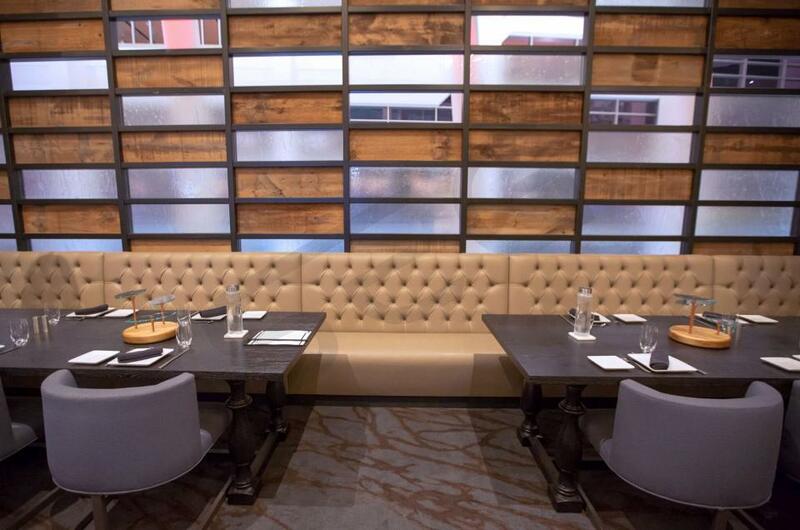 Lounges can be sold separately or combined to accommodate groups of 10-32 guests. Lounges feature a bar and kitchenette area with ample counter space to serve food and beverage. Floor facing seats are located on a private suite balcony. The Tower Lounge is a private event space located on the west side of the executive suite level. This Lounge is perfect for larger groups of 30 to 50 guests. On-site attendants will service your group throughout the event. The Lounge features upscale decor, lounge seating, and a spacious bar/kitchenette area furnished with full-sized subzero refrigerators. Fixed stadium-style seats are located on a private open-air balcony overlooking the court. The Panorama Lounge is a private space located within the larger Panorama Club on the Sky Mezzanine level (6th floor). This space features high-top tables, an open floor plan, and a private bar. Guests are also able to access the regular club and the popular outdoor balcony with views of downtown Milwaukee. The Panorama Deck is located in the popular Panorama Club. This party space that comes with all-inclusive food and beverage. The Deck is perfect for large groups of up to 75 guests. This space does not feature stadium seating facing the court. The Loge Tables are located on the 100 level of Fiserv Forum. Featuring comfortable bar-style seating for 4, the Loge Tables are perfect for smaller groups seeking fantastic views from their own private VIP table. The Loge tables come all inclusive with in-seat food & beverage service consisting of concession fare, domestic beer, and soft drinks. Loge Table ticket holders will also receive 1 VIP parking pass and will have access to the VIP arena entrance to enter Fiserv Forum. 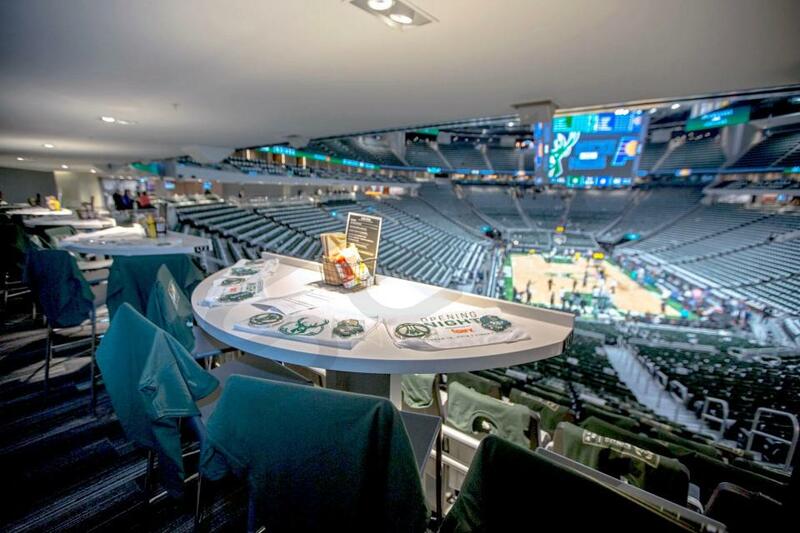 Suites at Fiserv Forum can accommodate groups ranging from 12-20. The traditional suites are configured in sizes of 12, 15 and 18. Suite amenities will include HDTVs, premium balcony seating, and upscale catering options. 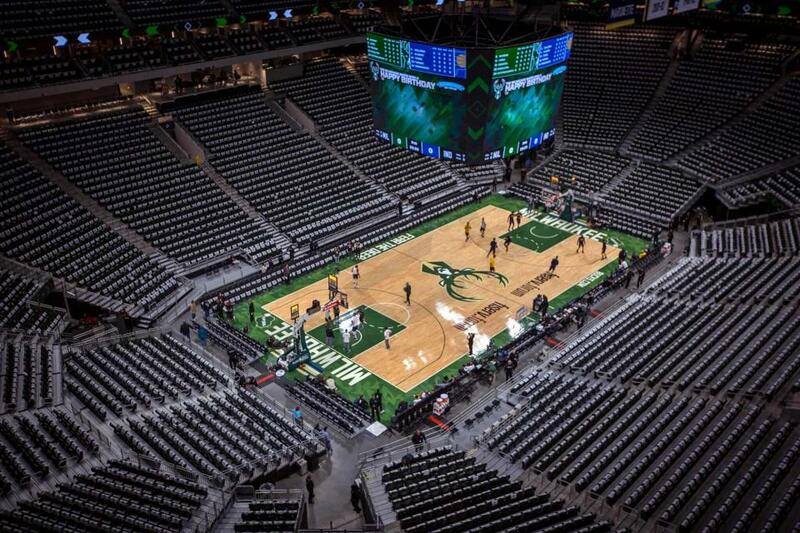 In this section we’ve compiled key considerations when planning an event at the Fiserv Forum in Milwaukee, Wisconsin. 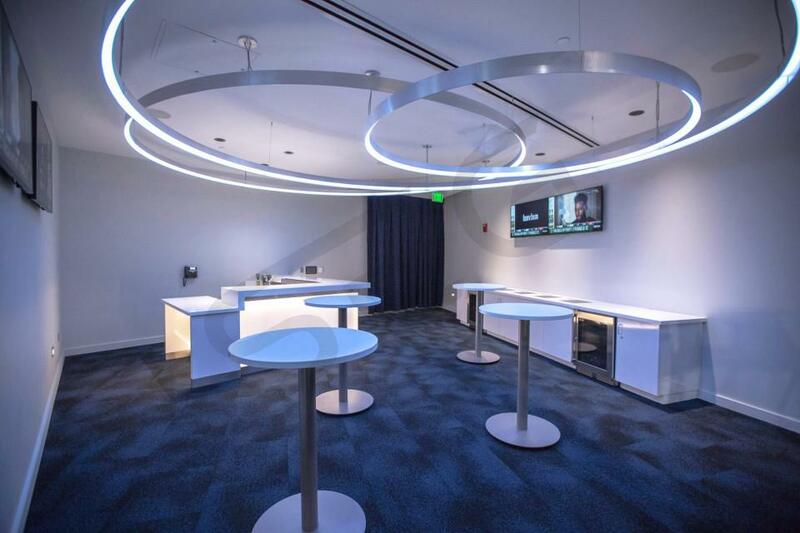 There are several sizes and configurations of suites and private group spaces at the brand-new Fiserv Forum. 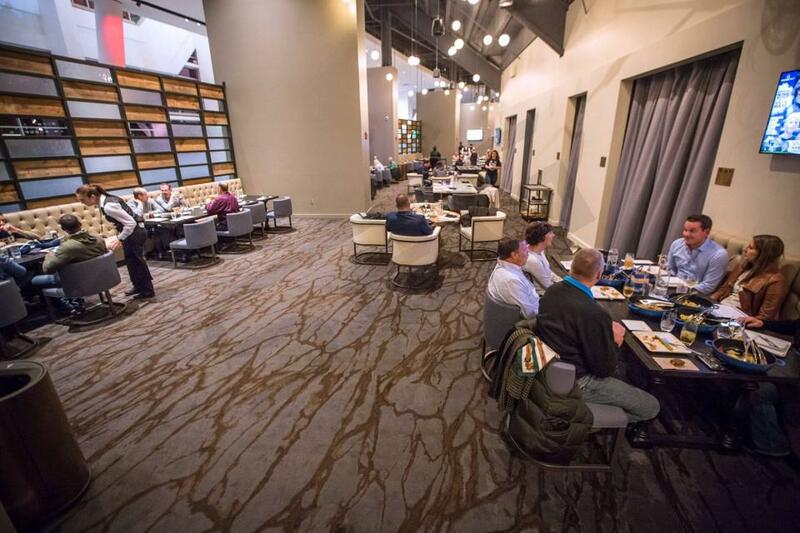 Following the trend of many new venues, Fiserv Forum has increased the number of small, private lounge spaces in addition to the presence of traditional suites. Small group premium options, accommodating groups of 4-8 people, include West Bend Lofts and private Loge Tables located just above the 100-level seating sections. Lofts and Loge Tables will come inclusive of food and beverage. 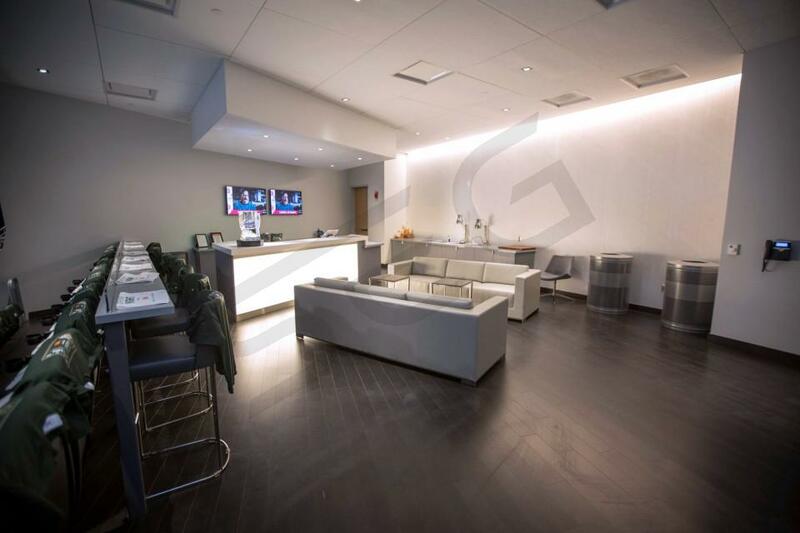 Fiserv Forum has 34 traditional private luxury suites all of which are leased on an annual basis. These suites will accommodate between 12 and 26 guests. Each suite will feature an open-air balcony containing 8-12 stadium-style seats facing the court in addition to high-top barstools and additional lounge seating that occupies the enclosed area of the suite. Suites are spacious allowing for plenty of standing room only tickets. 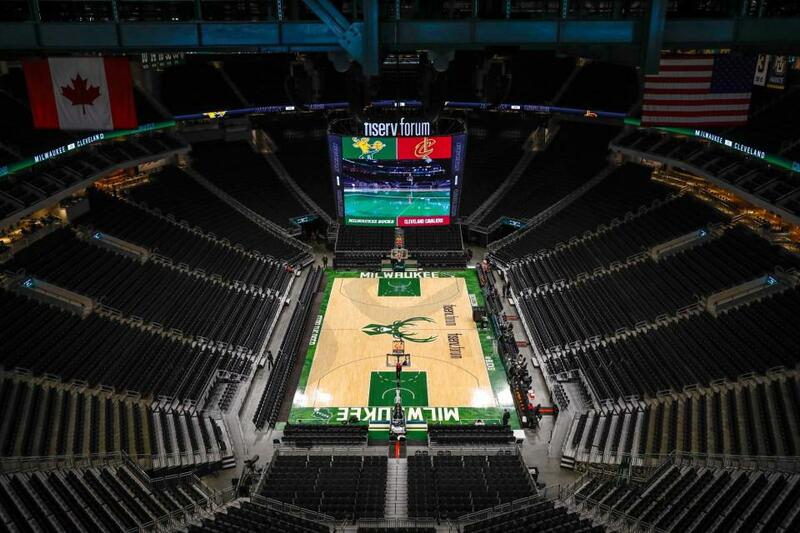 Fiserv Forum premium seating options will range widely in price. 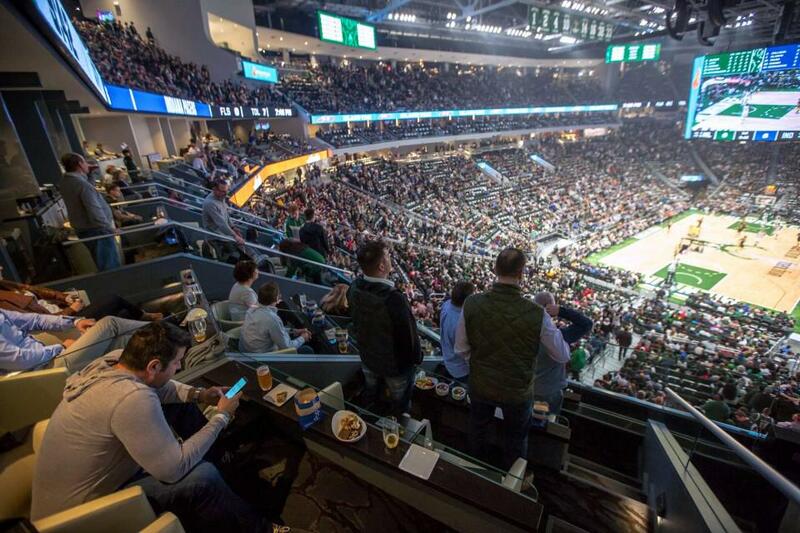 For Milwaukee Bucks games, private suites will range in price from $3,000-$7,000 based on opponent, day of the week, and suite type and location. Suite prices for non-basketball events will vary widely. Family events such as Monster Jam, Cirque du Soleil, and the Trans-Siberian Orchestra can be as low as $1,750-$2,000. Premium concerts can be upwards of $8,000-$10,000. 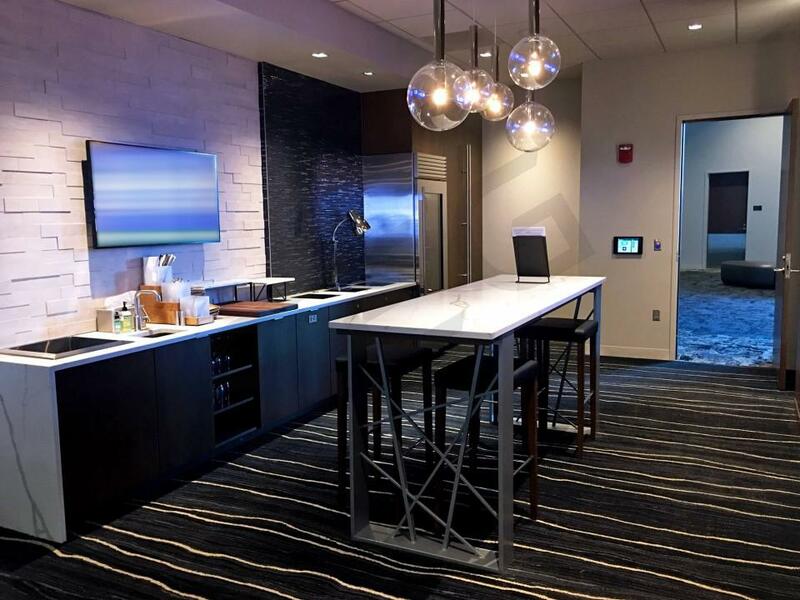 In-suite catering is available for all private suites at Fiserv Forum. The menu includes a wide range of food and beverage options provided by Levy Restaurants. 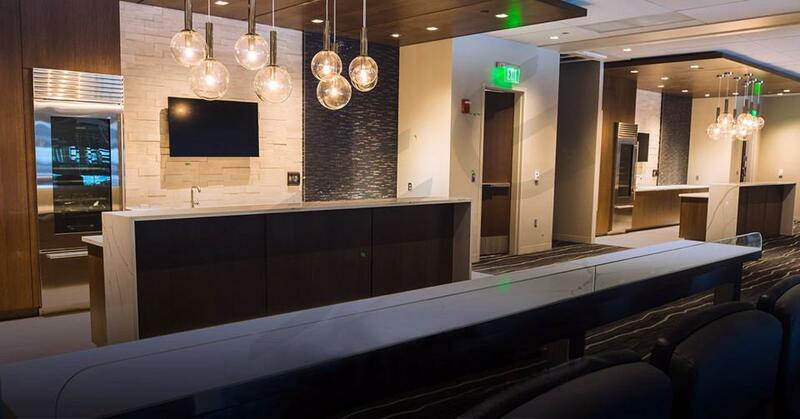 Private suites at Fiserv Forum will not include catering in the base price of the suite, so be sure to allocate additional funds to cater your suite. 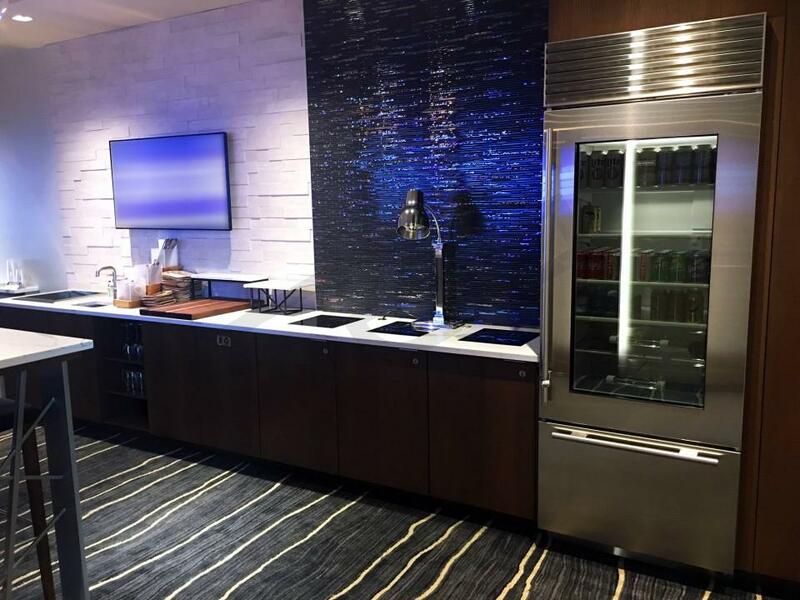 The average Suite Experience Group client at Fiserv Forum spends between $1,000 and $2,000 on in-suite catering. Panorama Club – Located on the Sky Mezzanine level, the Panorama Club offers a lounge environment complete with a full bar and multiple upscale concession options. Mezzanine Club – Located on the east end of the Mezzanine Level (2nd floor), the Mezzanine Club offers upscale arena fare and bar areas in a shared lounge environment. The Mezzanine Club overlooks the main atrium and the Plaza. There is limited space for meetings and conferences on game day. Some guests choose to give a short presentation in their suite before the game. Private suites have Wi-Fi and TV’s are accessible via HDMI connection. All bags will be searched by Fiserv Forum security personnel upon entry. Permitted bags should be soft-sided, no larger than 14” x 6” x 14” and able to fit completely beneath an arena seat. Backpacks are NOT permitted; however, drawstring-style backpacks are permitted. Children under the age of 2 will not require a suite ticket to enter the stadium for Milwaukee Bucks and Marquette Golden Eagles games. Children ticketing policies for non-basketball events may vary. Parking passes that accommodate your suite purchase are valid in the 5th Street Parking Garage adjacent to the arena. With new head coach Mike Budenholzer and a brand new arena, the Milwaukee Bucks are in for an exciting year in 2018-19. The Bucks have the personnel to become an elite team in the Eastern Conference - it’s all about maximizing the talent on the roster. Led by Giannis Antetokounmpo, expect the Milwaukee Bucks to take the next step this year during Fiserv Forum’s inaugural season. Giannis Antetokounmpo has established himself as a consistent MVP candidate and dominant player in the NBA. The Greek Freak’s athleticism and play making ability make him one of the most unguardable players in the entire league. He plays basketball with such contagious enthusiasm and passion, which is why he is a fan favorite in Milwaukee. Giannis Antetokounmpo provides no shortage of highlights, especially when it comes to posterizing dunks or emphatic blocks. Alongside the Greek Freak, Khris Middleton and Eric Bledsoe expect to have major roles this season. As a versatile player who scores 20+ points per game and defends at a high level, Middleton is one of the most underrated players in the league. Bledsoe is an athletic point guard who can push the pace and share the ball in Mike Budenholzer’s fast paced offense. Former Rookie of the Year Malcolm Brogdon will also play a key role this season. The Bucks main additions of the off-season came in the form of two free agency signings and drafting Donte DiVincenzo in the first round. DiVincenzo won a national championship at Villanova last season, and the Bucks expect him to make a significant impact right away off the bench. In free agency, Milwaukee signed Ersan Ilyasova and Brook Lopez. Both Ilyasova and Lopez can shoot from deep and space the floor, something the Bucks have lacked the past few seasons. Adding two shooters, especially at power forward and center, could be the missing pieces for the Bucks offense. 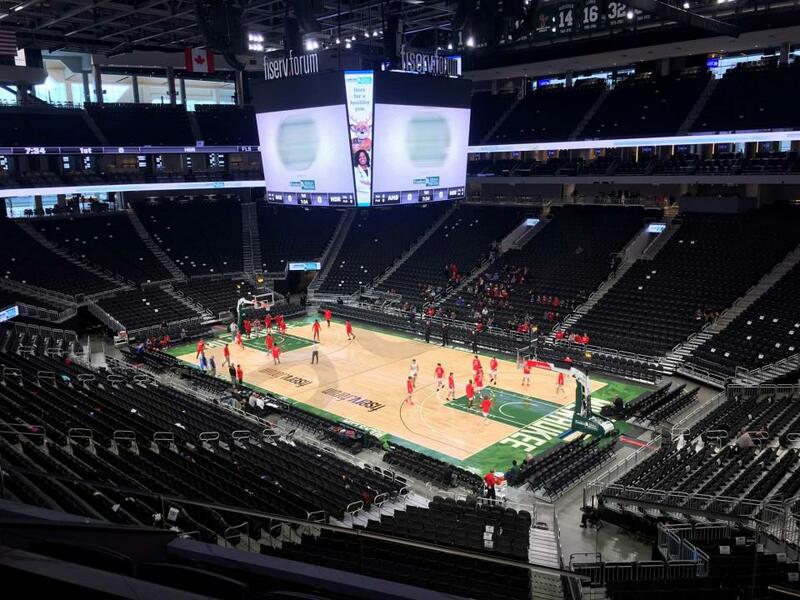 There is plenty of reason the get excited about the Bucks this year, especially because they are moving into their brand new arena. The Fiserv Forum will offer Bucks’ fans the most state-of-the-art experiences that the NBA has to offer. The new arena will feature the largest center court video display in the league. The video scoreboard will stretch out more than three-fourths of the court. Suites at the Fiserv Forum will accommodate groups of 12-26 guests. For Bucks games, suite ticket holders will enter the new arena through a VIP entrance and be able to park in the VIP parking structure. 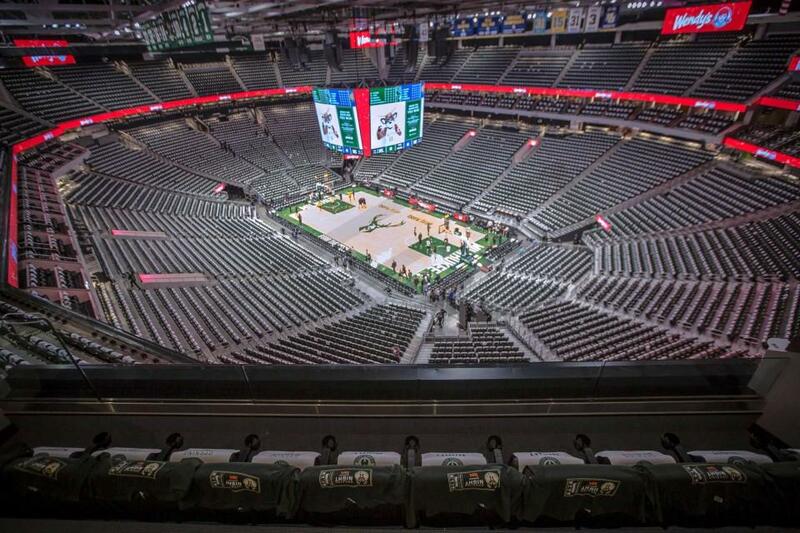 The NBA’s newest arena is home to the Milwaukee Bucks. The Fiserv Forum will offer Bucks’ fans the most state-of-the-art experiences that the NBA has to offer. The new arena will feature the largest center court video display in the league. The video scoreboard will stretch out more than three-fourths of the court. 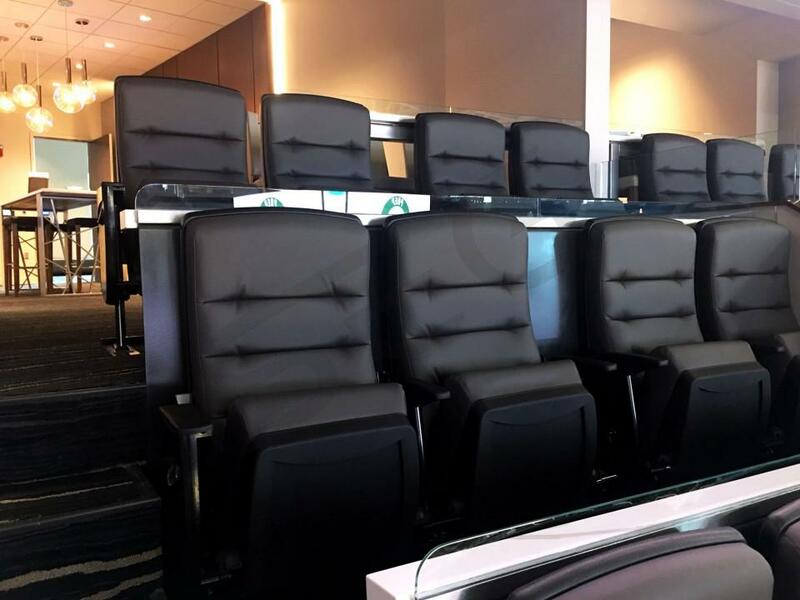 Suites at the Fiserv Forum will accommodate groups of 12-26 guests. For Bucks games, suite ticket holders will enter the new arena through a VIP entrance and be able to park in the VIP parking structure. The Fiserv Forum will be home the Bucks, the Marquette basketball team and will host some of the biggest acts in entertainment. The Killers will be the performance at the Forum while the Bucks kick-off the regular NBA schedule on October 19th versus the Indiana Pacers. 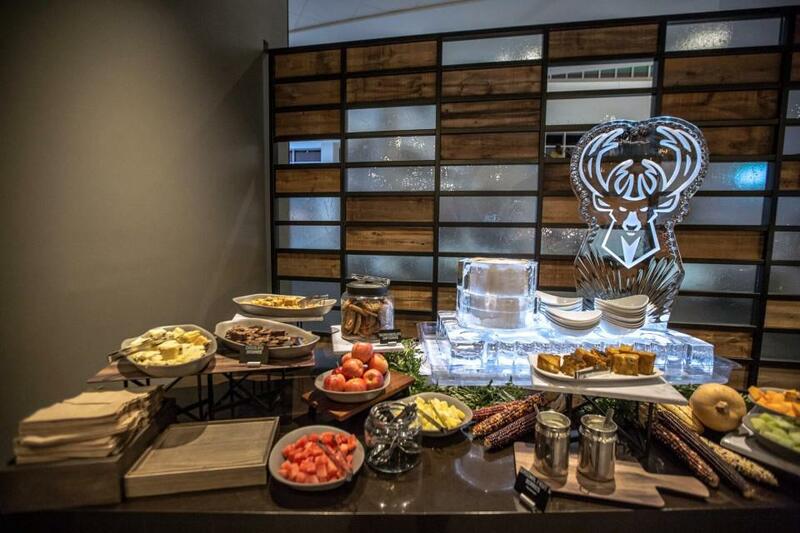 Experience watching the Milwaukee Bucks from a private suite at the BMO Harris Bradley Center. 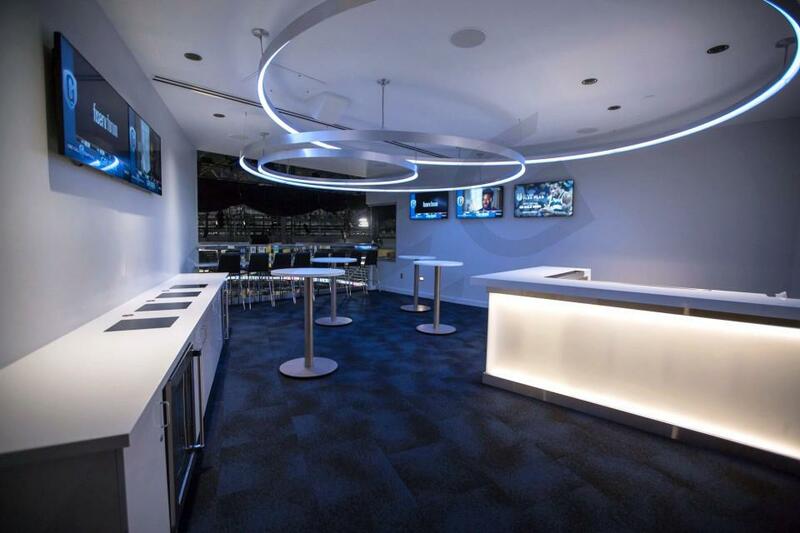 Club suites are available to rent on a game-by-game basis. With a suite to any Bucks game, 18 tickets and 2 VIP parking passes are included. A catering package will be included with your suite featuring food and non-alcoholic beverages, alcohol can be purchased in advance at an additional cost. BMO Harris Bradley Center suites are going to include premium fixed seating on the suite balcony with additional lounge seating inside the suite and bar stools. A private restroom is in the suite for your convenience. 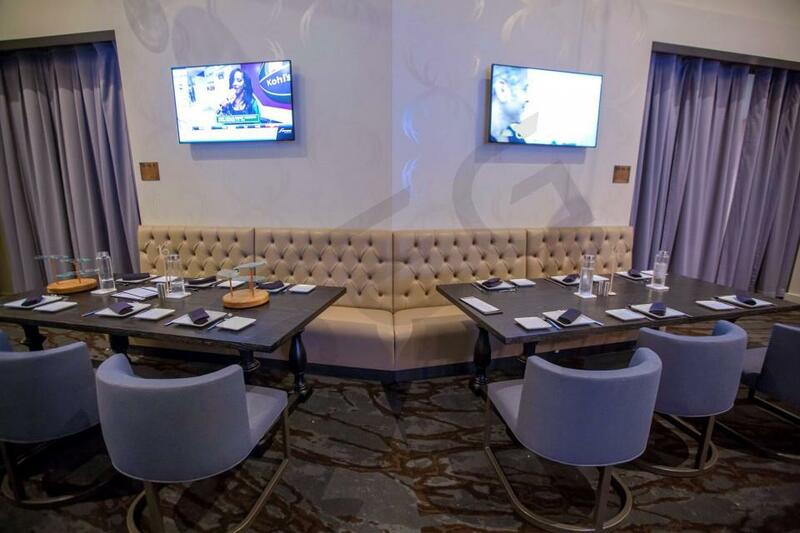 Surrounding the suite will be HDTVS so you never miss any action from the Bucks. The 2017-18 Milwaukee Bucks will feature some of the most exciting players in the NBA headlined by Giannis Antetokounmpo or as fans like to call him the “Greek Freak.” Antetokounmpo is already an MVP candidate this season fresh off winning Kia’s Most Improved Player award last season. The Bucks also feature last year’s Rookie of the Year award winner, Malcolm Brogdon. Jabari Parker is expecting to be back in the lineup near the halfway point of this season after suffering another knee injury. Filling out the lineup will be Khris Middleton, Tony Snell, Greg Monroe and Matthew Dellavedova. Head coach Jason Kidd has the Bucks trending in the right direction and should be one of the top contenders to win the Central Division. Whenever fans talk about the Milwaukee Bucks the conversation starts with sensational small forward Giannis Antetokounmpo. The “Greek Freak”, as he is affectionately called, is a human highlight-reel of dunks, blocks, fancy passes and feats of ball-handling wizardry. Though Antetokounmpo seems destined for stardom, the Bucks hope Duke product Jabari Parker develops into the second star and perfect compliment to the “Greek Freak”. Parker is an uber-skilled combo forward whose scoring prowess is unmatched by any other 20 year old in the league. Alongside the Bucks two-headed monster are a bunch of solid pieces that will enable the young stars to develop and compete. At shooting guard is the sweet-shooting Kris Middleton, whose floor-spacing and defensive prowess makes him a fit on any team. Bruising big man Greg Monroe operates in the low post and plays the center role. In the offseason the Bucks acquire two Australians who they hope will be foundational pieces going forward. They signed free agent and defensive pest Matthew Dellavedova away from the Cleveland Cavaliers. Dellavedova was a vital part of the Cavaliers championship run plus his three-point accuracy and defense is a perfect fit on this roster. The real surprise of the Bucks offseason was when they drafted seven foot one inch high school student Thon Maker with the 10th pick in the draft. Maker is the first high school student to be drafted directly into the NBA in a long time, but he has tantalizing potential. If Giannis, Jabari and Thon all have breakout years in 2016 this Bucks team will be one of the most fun and most dangerous teams. 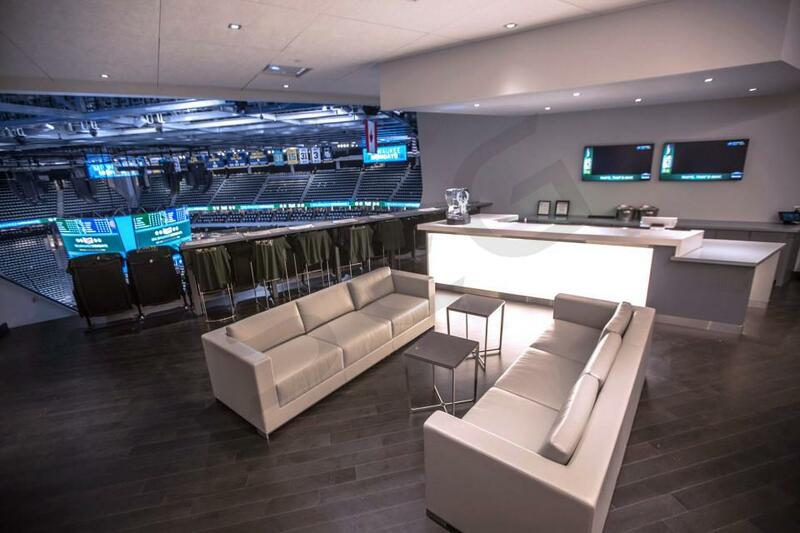 A BMO Harris Bradley Center luxury suite is the premier environment to watch Bucks Basketball. 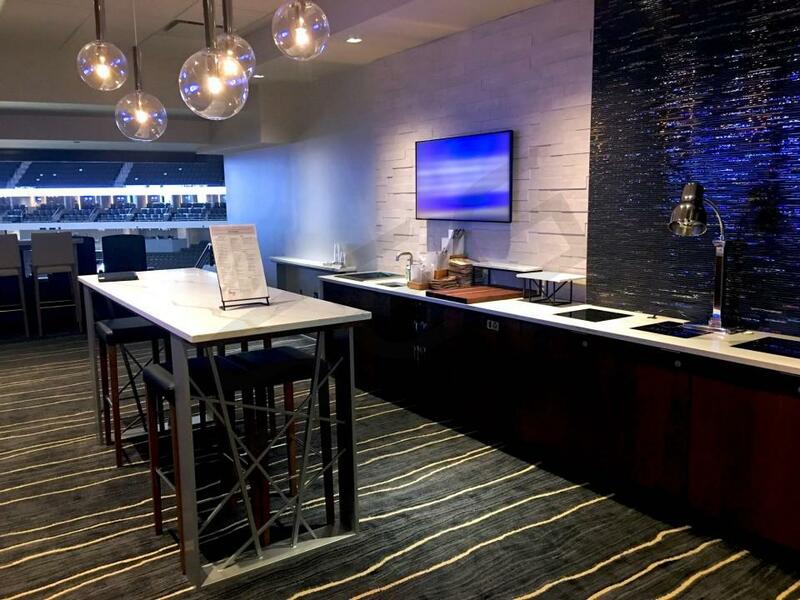 A Bucks skybox comes with comfortable lounge and stadium seating, a delicious customizable catering menu, HDTV's, a wet bar and a dedicated suite attendant. 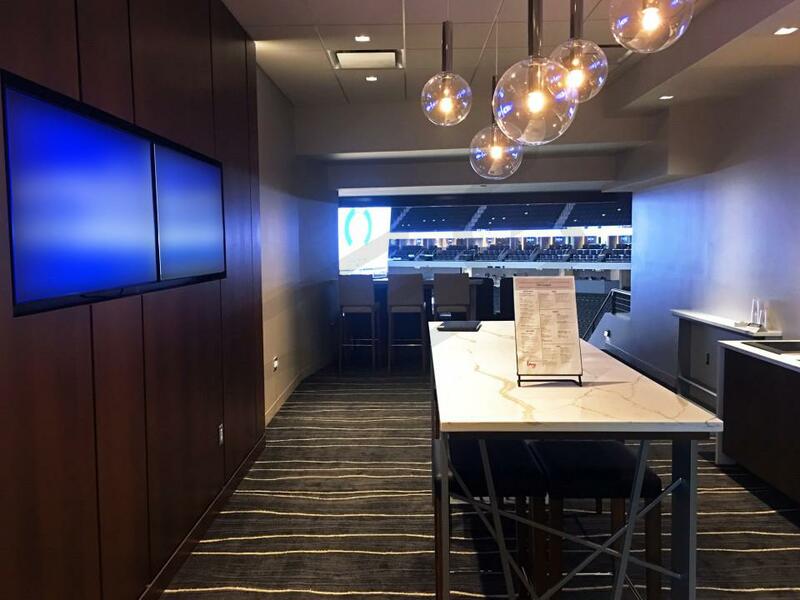 Bradley center suites are the perfect place to host clients or to celebrate a personal event like a birthday or anniversary. The BMO Bradley Harris Center will also be hosting Maroon 5 and Carrie Underwood concerts. Thank you for signing up for specials at Fiserv Forum. Enter your email address below to stay in touch. We'll sign you up for our newsletter, which will inform you of the latest inventory and events at Fiserv Forum. We promise we will never sell or distribute your information. 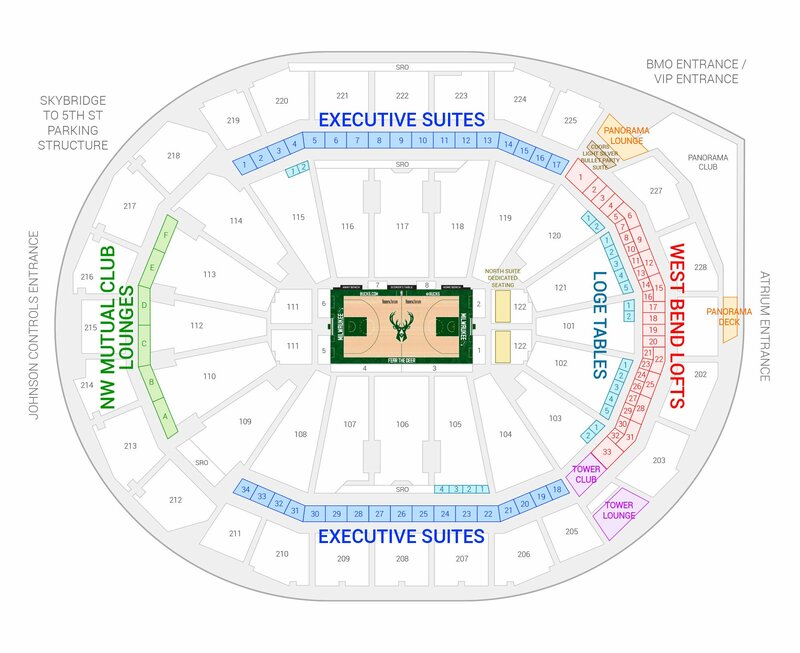 The seating chart below shows where the Milwaukee Bucks suites at Fiserv Forum are located.